Carlyle Dental offers dental cleanings for residents living in Kinston, Goldsboro, Greenville and the surrounding areas of North Carolina. Dental cleaning services, a core part of general dental care, are important for both preventative hygiene and periodontal therapy. Although you may practice the proper brushing technique and clean your teeth regularly, plaque, which is a sticky bacterium that attack tooth enamel, can remain. If plaque is not removed, it will eventually build up and become tartar. A combination of plaque and tartar can lead to tooth decay, as well as oral diseases such as gingivitis or periodontitis. Ordinary brushing may not completely remove plaque, and over time it becomes more difficult to keep your teeth clean and free of tartar. When you receive dental cleaning at Carlyle Dental, the hygienist will first perform a thorough assessment of your oral health. The exam may include x-rays, and questions may be asked about whether you have noticed any unusual feelings in your teeth, or any other problems. In addition, Dr. Carlyle will want to know whether you are taking medications, or have health conditions that can affect your teeth, such as diabetes. Plaque and tartar build-up on the teeth is removed using a hand scaler or a Cavitron, which is an ultrasonic tool that cleans both outside and in between the teeth by breaking up hardened deposits of plaque. Your teeth are also flossed to remove any excess debris, which are then polished with special abrasives, making it harder for plaque to stick to the teeth. If you have any dental sensitivity, it’s important to discuss this with Dr. Carlyle beforehand so that you don’t experience any discomfort during the cleaning. Once the dental cleaning is complete, Dr. Carlyle will look at your teeth and mouth to check for any abnormalities. He will review the state of your oral health with you, and will suggest any additional treatment options, such as filling cavities or completing cosmetic work. Oral care and teeth brushing tips will be reviewed in order to help maintain the health of your teeth, as well as to fight tooth decay. Regular dental cleaning for those in Kinston, NC and Greenville, NC is important in maintaining proper dental hygiene, as well as good overall dental health. At Carlyle Dental, it is our goal to ensure good health for your gums, teeth and mouth. How Much Do Dental Cleanings Cost in Kinston, NC? 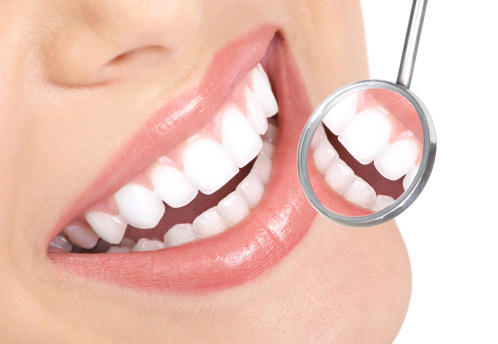 The cost for dental cleanings varies and depends on the extent of treatment necessary. We accept cash, MasterCard, Visa, and personal checks. Insurance is accepted, and we also have financing available through CareCredit® and Compassionate Healthcare Services®.